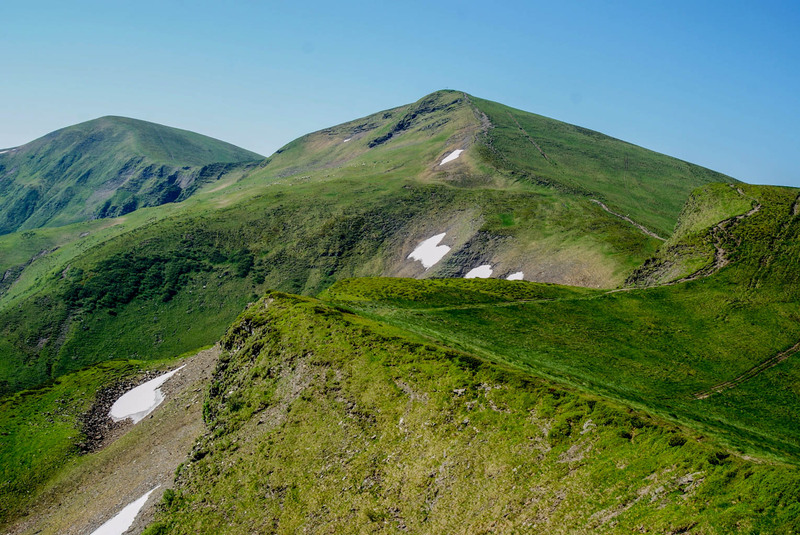 European Wilderness Society is keeping an eye on the progress regarding a planned huge ski resort in the Ukrainian Carpathians. The Initiative group FREE Svydovets but also supporters of the resort building made a number of important steps (including conferences and press conferences, meetings), towards achieving their goals: first – on preventing this massive construction in one of the Ukrainian most beautiful area, others- on its urbanization. Update 19.04.2018: Appeal court session, which took place on April 18, 2018 in Lviv made the decision which requires Rakhiv and Tyachiv District State Administrations to provide court with detailed plan of the Territory of mega-resort “Svydovets”. As European Wilderness Society informed earlier, this detailed plan was not presented upon the requests earlier. The next court session will take place on 04 of May 2018. Up-date 04.05.2018: Today Lviv court appeal session took place. Representatives of defendant presented some huge maps of the territory and its descriptive part. Court allowed the appeal and the final decision will be announced on the 08 of May,2018. The open question still remain: whether all these documents developed according to the law of Ukraine and its international agreements. We are also looking forward to hear more news regarding protected area creation, following provisions of the Ministry of Environment and Natural Resources of Ukraine. The place where both sides will meet again is the appeal court of the Rachiv and Tyachiv District State Administrations which will take place in Lviv on April 18th. This is the appeal claim to the decision of Uzhhorod court session on revoking the decisions of the above mentioned State Administrations regarding development of the resort planning documents. Activists are calling to support them in the Lviv court and also through the website to sign the petition to the President of Ukraine on Svydovets protection here. There is also an ongoing ecological assessment of the impact of the ski resort. On March 18th, 2018 Transcarpathian Regional State Administration started the Ecological Impact Assessment of the creation of the new mega vacation-touristic complex “Svydovets” with a planned network of cableways, skiing piste, hotel infrastructure. This process is registered in the Unified Register of Ecological Impact Assessment (Registration number 2018314288). Several involved organizations, represented by its members in the initiative group FREE Svydovets already submitted comments to the Ministry of the Environment of Ukraine. Just recently, on March 20th the Ukrainian Parliament adopted the new law “On Strategic Ecological Assessment” which regulates transboundary ecological assessment. The project also plans to clear cut an area of more than 430 ha, which also is the reason for the transboundary ecological assessment. Here support (e.g. proper letter from Carpathian or other European countries to the Ministry of Environment of Ukraine) would be very helpful. This week an Initiative group also received the reply letter from the Ministry of Environment and Natural Resources of Ukraine, where among others it is stated that the Ministry approved the application of the Institute of Ecology of the Carpathians NASU regarding Landscape Reserve of Country Importance “Central Svydovets” for the creation of the protected area of 335 ha and sent this application package for further arrangements to the Transcarpathian Regional State Administration. The European Wilderness Society already informed about scientific ecological assessment of the Svydovets Massif “NATURE CONSERVATION VALUE OF THE CENTRAL SVYDOVETS MOUNTAINS (UKRAINIAN CARPATHIANS)”, performed with participation of Institute of Ecology of the Carpathians. As a member of initiative group, we received from the Ministry the Application of scientific substantiation of “Central Svydovets” creation. Lviv scientists propose to create National Nature Park which will combine preservation and recreational functions according to the proper zonation. We hope, that the Transcarpathian Regional State Administration will make a proper decision regarding the sustainable development of this unique region, combining preservation of the inestimable biodiversity and wellbeing of the local inhabitants. There are many good examples of small and medium business, traditional activities as well as experts available in and for this region. European Wilderness Society is also constantly supporting Ukraine and particularly Transcaprathia with its several European Wilderness Network Members and one of such confirmation is our planned one-week visit with seminars, exhibition and numerous meetings with participations of several international scientists. We are also planning with a renown institute a visit of the area to discuss with local stakeholders the impact of this planned mega ski resort to the local economy, nature and watershed.